1. The Perfect Serving Tray: Our Nostalgic Snowflake Tray displays a hand-painted falling ice crystal, reminiscent of falling snow and cozy winter nights. Perfect for leaving displayed out on the coffee table or serving warm winter drinks. 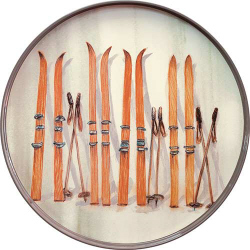 Or for the skier in your life, the Mont Blanc Ski Serving Tray is ideal for both the ski cabin or home. With old-fashion skis and poles, this tray is perfect for serving piping hot coco after a day out on the slopes. 2. 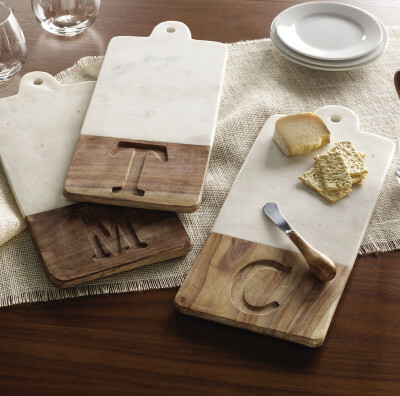 The Perfect Cheese Board: Marble & Wood Initial Boards is an elegant board, perfect for gatherings. The board features a marble and mango wood construction and comes with a wood and metal spreader. Ideal for a cheese platter or displaying appetizers. Or try the Wood and Slate Cheeseboard. 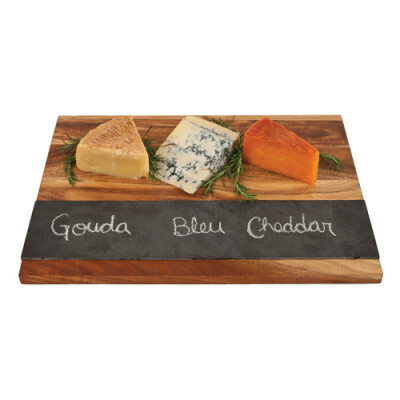 Featuring a stunning wood cheese block and a stripe of slate chalkboard for labeling your cheese, or fruit, or other tasty goodies. This board is hand crafted using acacia wood. 3. The Perfect Home Accent: Our Birch Candle Holder is an elegant and effortless way to bring the outdoors inside this holiday season. This woodsy candle holder has all the realism and texture of white birch, perfect for bringing a forest accent to your mantel. Or keep the scent of forest pine all winter long with our Frasier Fir Reed Diffuser. The slender rattan reeds release the crisp scent of a freshly cut tree, creating that refreshing Christmas smell long after the holiday has past. 4. 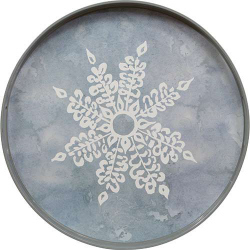 The Perfect Coasters: Our Assorted Winter Slate Coasters are ideal for winter gatherings. This set of four coasters each feature a different holiday print and will dress up any table. The slate material is also great for writing. on in chalk. Our Soapstone Coaster Tower are handcrafted with a more contemporary edge. 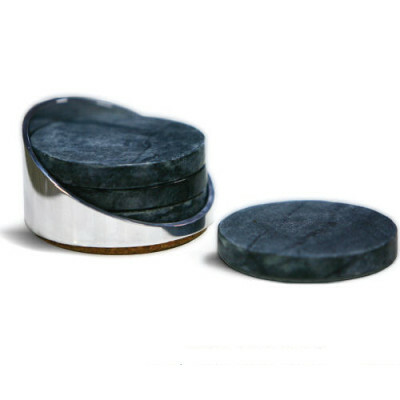 Stain-proof, fade-proof, and heat-proof, these soapstone coasters will add a touch of sleek style to any home for years to come. 5. The Perfect Holiday Decor: Add a bit of Christmas magic to the holiday with our Burlap Santa Sack. Spreading cheer form the North Pole Post Office, the Santa Burlap Sack features a chalkboard personalization area and will make any Christmas morning memorable. Our Gold Reindeer Taper Holders will bring a bit of that North Pole magic to any holiday display. Featuring antique distress gold, these metal reindeer candle holders are perfect for dining tables, mantels, entry way tables or more. 6. The Perfect Table Display: Our Initial Glass Candle Votives are made from a gorgeous frosted mercury glass and feature a bold block initial. 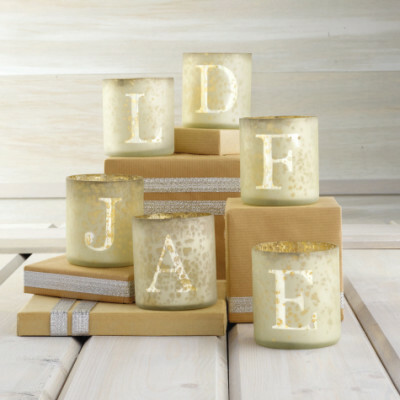 This candle votive adds a touch of class to any room and makes the perfect, customizable gift. 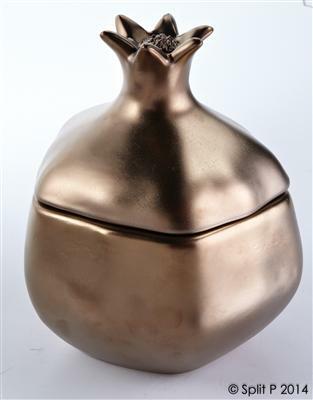 Or for your friend who already own everything, the Pomegranate Shape Jar adds elegance to any table display. Inspired by the use of pomegranates in Greek art and mythology, this ceramic pomegranate jar is both simple and stylish. 7. The Perfect Scent: Our Seasonal Wood Wick Candle has the crisp scent of Frasier Fir needles with a cedar wood wick that crackles and burns, creating a fireplace ambiance. The candle comes in a custom glass container. with a pine tree motif and wooden lid. Or for that extra holiday cheer, our Seasonal Frasier Fir 2-Wick Candle is perfect for seasonal celebrations. Featuring the same aroma as the seasonal wood wick candle, this two wick candle comes pre-packaged for giving, with a hand-tied ribbon and custom gift tag. 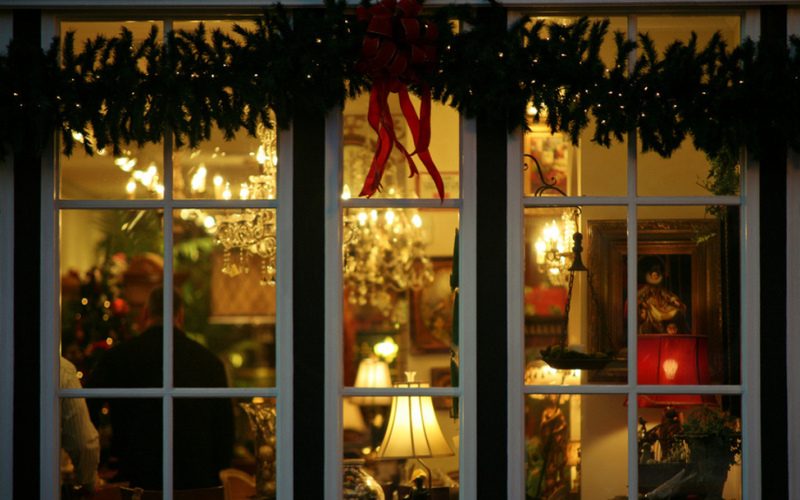 From stylish holiday party gifts, to thoughtful gifts for family members, you’ve never been more ready for the holiday season. No matter who is on your Christmas list this year, have the perfect gift in hand by Dec. 25th. Happy Holidays!